The Rose Seidler House is one of Sydney’s most unique houses – an iconic and influential house in every right. The house was constructed between 1948 and 1950, and boasts a radical modernist approach in its architectural design. For a house that combines stunning architectural designs with art and technology in a remarkably bold way, it is no surprise that the house is ranked among Sydney’s living museums. The house was designed for Rose and Max Seidler by renowned architect Harry Seidler. 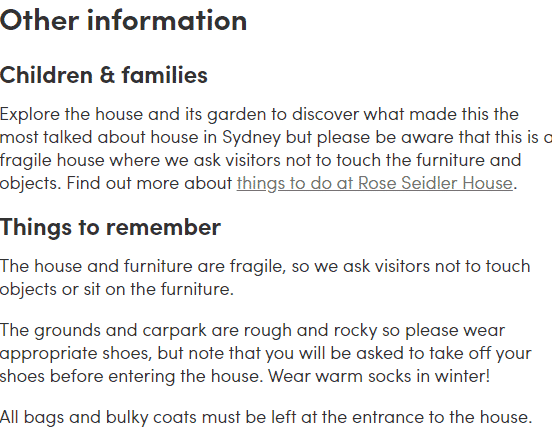 The house is named after Rose Seidler because she oversaw its commission and made key decisions regarding the construction work. At the time of construction, the house’s design was considered somewhat futuristic and this earned its great popularity. One of the most outstanding features at the Rose Seidler House is the use of free standing planes that create an intrigue to discover what lies beyond. Design lovers will appreciate the use of an open plan design, a minimalist colour scheme and a host of devices used to save labour that were, at the time, completely new to Australia. The house is tucked away in the natural bushland, which allows visitors to take in beautiful views of the Ku-ring-gai Chase National Park from the unique glass walls and the deck area. This setting is perfect for outdoor parties and special events. For those interested, private and guided tours may be included as part of the events package; certainly a feature that guests will remember. The award-winning house is worth a visit, so take some time off and enjoy one of Sydney’s most iconic houses. The house is only open on Sundays between 10am and 4pm, and remains closed on public holidays. 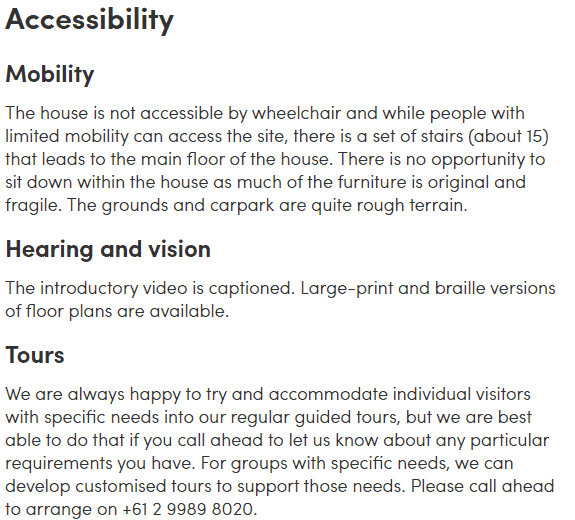 Visitors must note that the house is not accessible by wheelchair, and there is no chance to sit while at the house, as the original furniture is fragile. 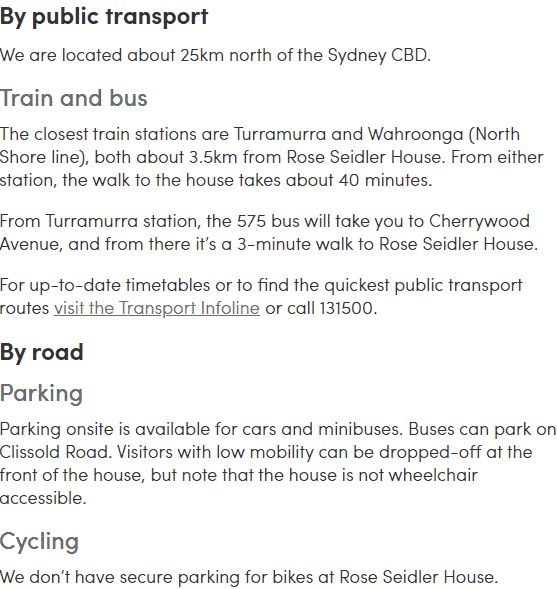 The Rose Seidler House is located on 71 Clissold Road, 25 kilometres from Sydney’s CBD.